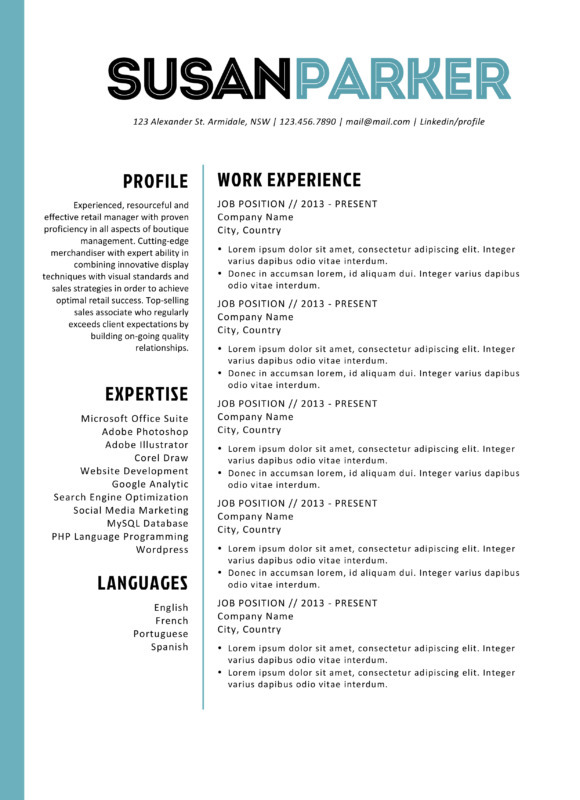 Sometimes it is the simplest of resumes which stand out from the pack. 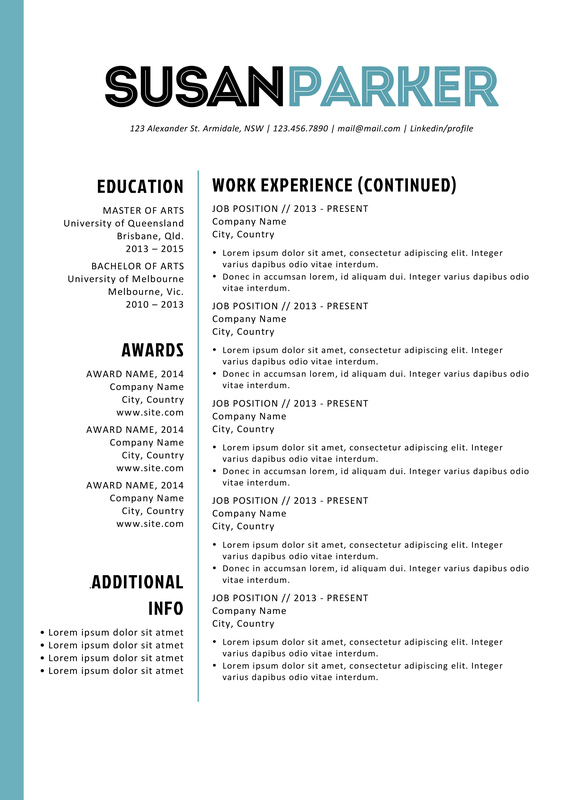 This Susan Parker Modern Resume Template demonstrates that. The eye-catching colors are kept to an absolute minimum here with the only dashing of color being the heading. It is just enough to ensure that your resume stands out from the hordes of other resumes in that pile though. The main feature of the Susan Parker Modern Resume template is the simplicity of the layout. 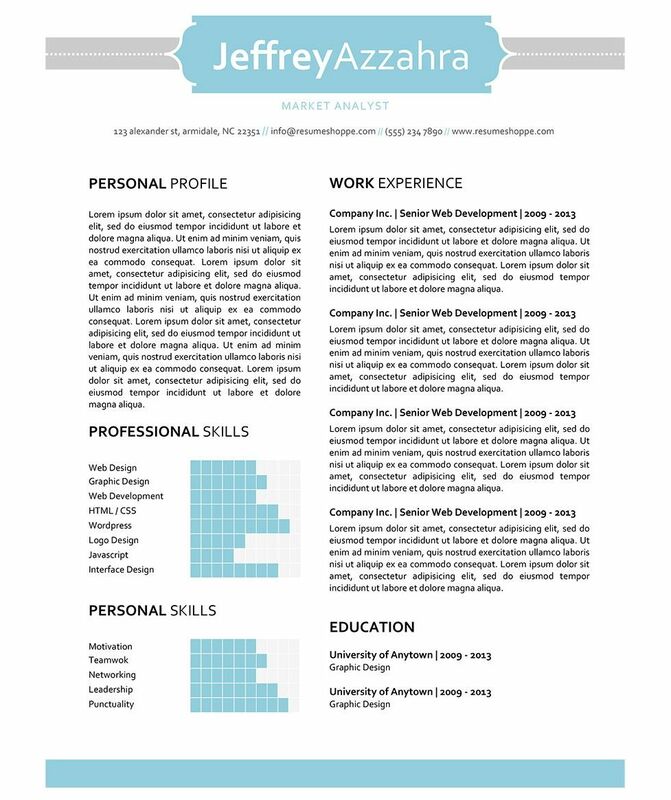 This template ensures that you are able to fit all of the key information about you on a single page without the information being too overwhelming for the employer. Everything should be easy to digest for them. 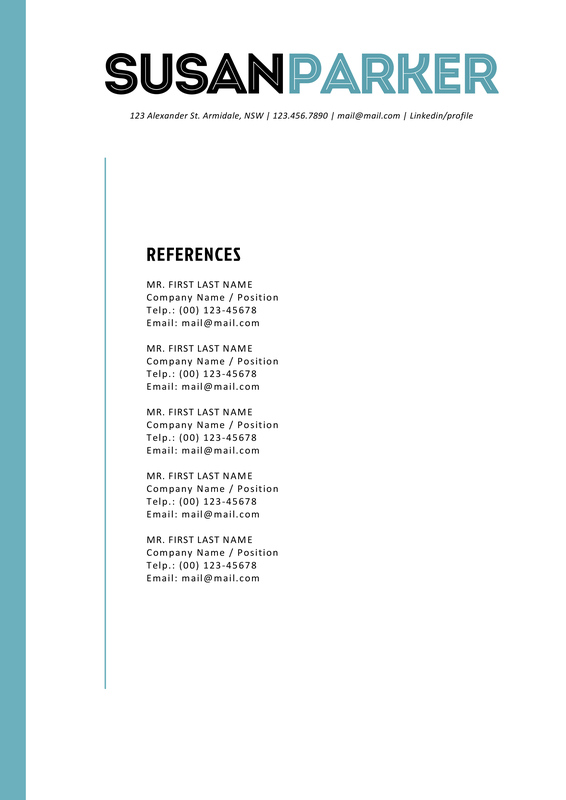 Editing the Susan Parker Modern Resume Template is simple. All you need to do is open it up in Microsoft Word and add your own data to it. You will have a gorgeous looking resume template in just a few short minutes. 2. Install the font included in the zip file.